​​​​​​​Mauricio Pochettino says Tottenham must be consistent if they are to have a chance of winning the Premier League. 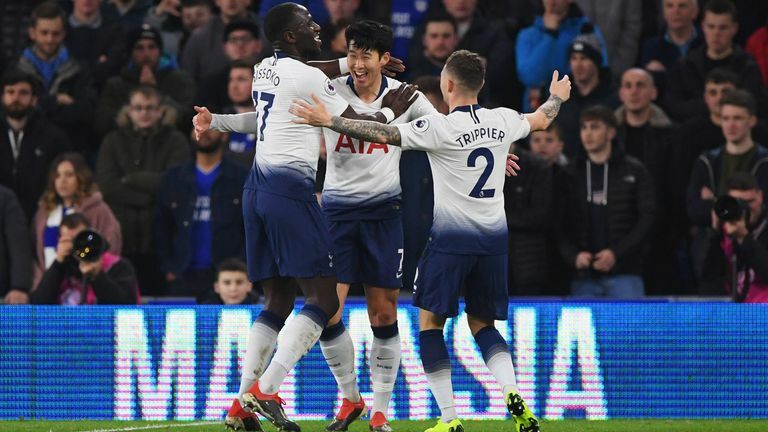 After the 3-1 defeat by Wolves on Saturday, Spurs bounced back with a 3-0 win at Cardiff on Tuesday, moving second in the table, for 48 hours at least, before Manchester City's clash with Liverpool on Thursday, live on Sky Sports. 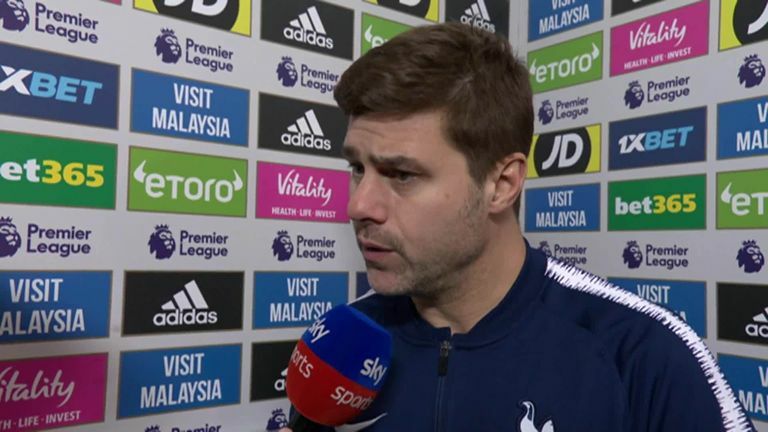 With Manchester United, Fulham and Watford to come in the league, Pochettino says Spurs must keep a high level if they wish to win the Premier League. He told Sky Sports: "First it is about the three points and then I don't want to see the table. Of course we are in a very good position, but we have to be consistent. "Of course today the Premier League is so tough, if you want to be in a good position you must be consistent for the whole season, and you can't afford to lose the three points like we did against Wolves." Regarding Thursday's game, Pochettino said he would be watching, but only as a fan of football. "I don't care, I don't care, I don't care," he said. "Of course [I will be watching] because it will be an unbelievable game, and of course I am going to enjoy football too. "Both teams I think are the best in England, and I will enjoy, but the day after we are going to play FA Cup, and we need to be ready again, because we have a very busy schedule." Highlights from Tottenham's win over Cardiff in the Premier League. After 12 games in just five weeks, Pochettino praised his staff and players for remaining energised over the busy winter period. "I think very pleased, one thing I need to say after us and Everton we were both teams that suffer a little bit more without much rest between the games, and I think the players' effort was magnificent. I congratulate them because in 10 days to play four games is so tough and the performance was fantastic. "I think they deserve full credit, the staff too, a fantastic effort, because it was a really tough period for us."